Sign up for Broadjam today to follow Nick Fuse, and be notified when they upload new stuff or update their news! 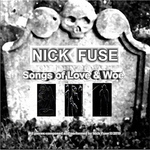 This CD is a compilation of Nick Fuse's best work on the subject of Love & Woe. 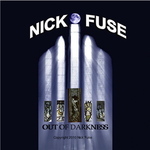 This CD is a compilation of Nick Fuse's best work on the subject of Love & Woe. These songs, representing the Best of Nick Fuse music originally released in 2000, have been remastered and re-released as Songs of Love & Woe, A Modern Folk Tale of the search to Find and keep Love in the Modern World. The final song "Happy Song" is Nick Fuse's #1 selling and covered tune. 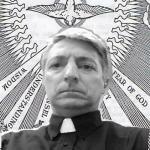 The problem of the stress of the search for love. Overdosee: A ballad written about the loss of Love (Songs of Love & Woe) that encompass the Beginning to the End of a 5-year romantic relationship. When everything is lost, where is the Love? Producer Credits Fuse & Cosgrove, Inc. Publisher Credits Fuse & Cosgrove, Inc.
Label Credits Fuse & Cosgrove, Inc.